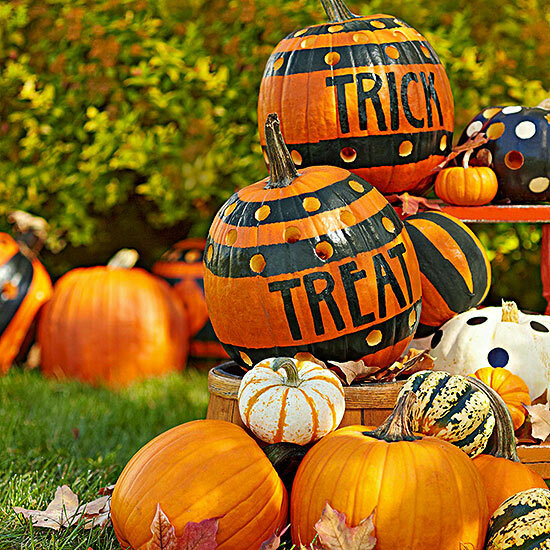 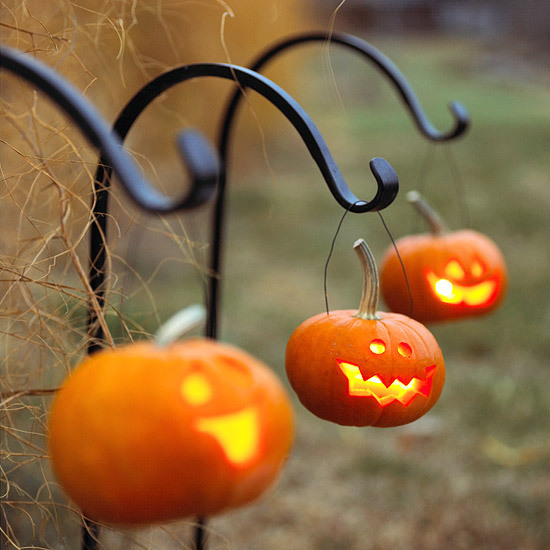 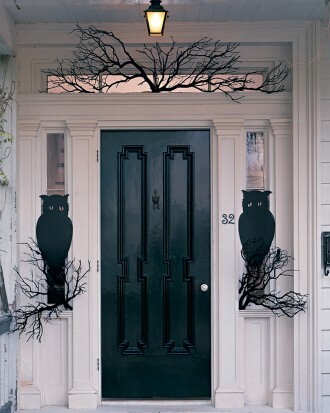 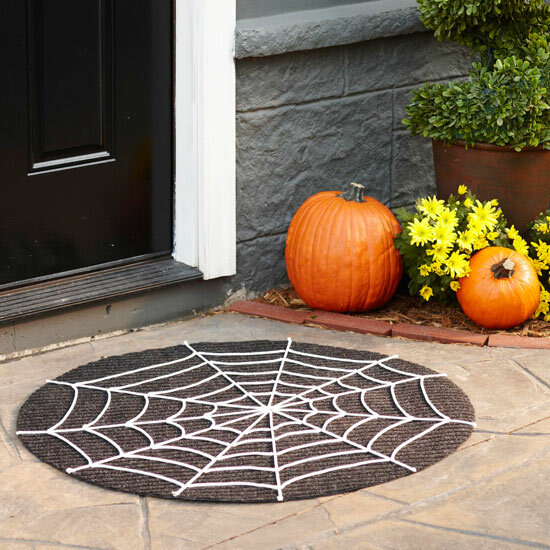 Collection of spooky outdoor Halloween decorations is a great place to start to make your house the spookiest on the street. 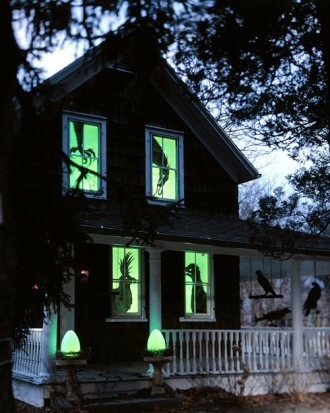 Skeletons, garage and window door display, graveyard scenes, spider web decorations, porch and sidewalk displays that brings the Halloween spirit alive. 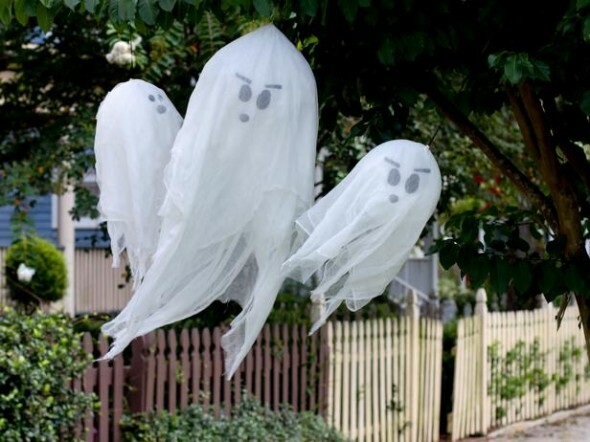 Number of Halloween silhouettes and free patterns of swank ghost, witch and skeleton are readily available on net. 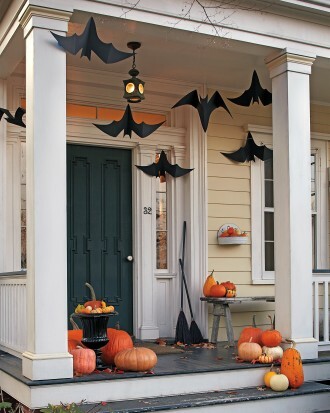 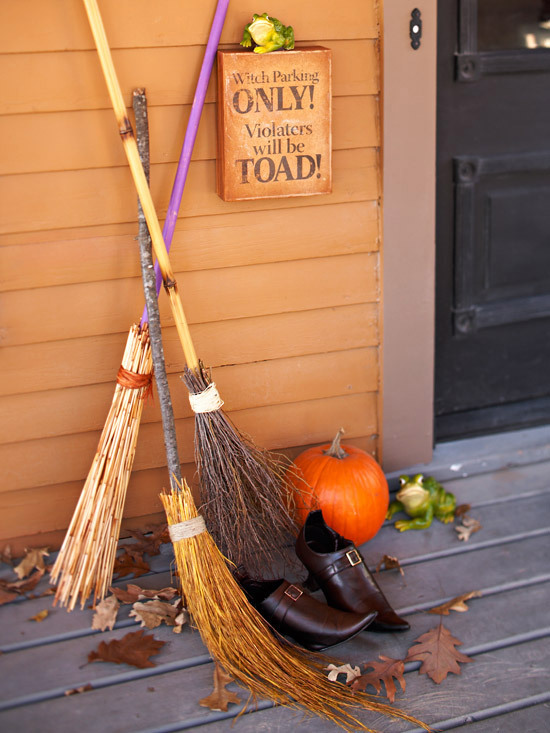 If you like seasonal decorations you can opt for decor which works from Halloween through Thanksgiving. 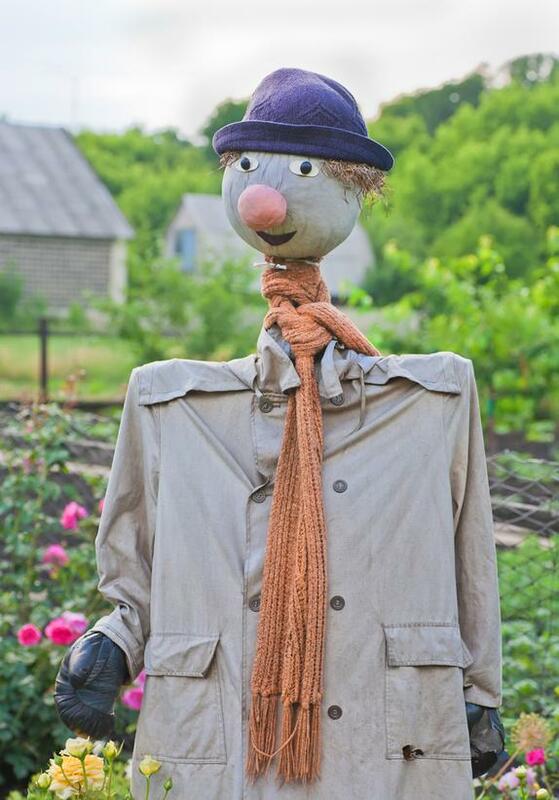 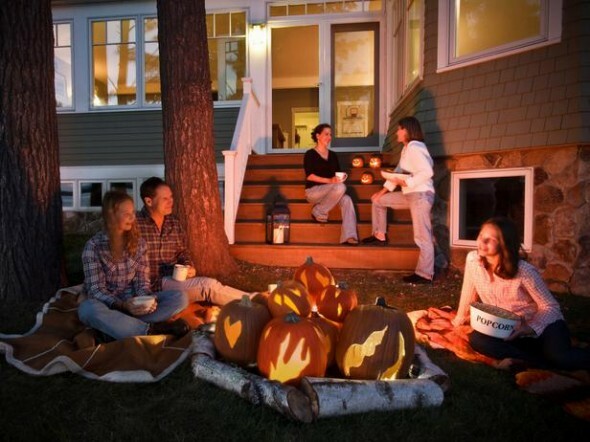 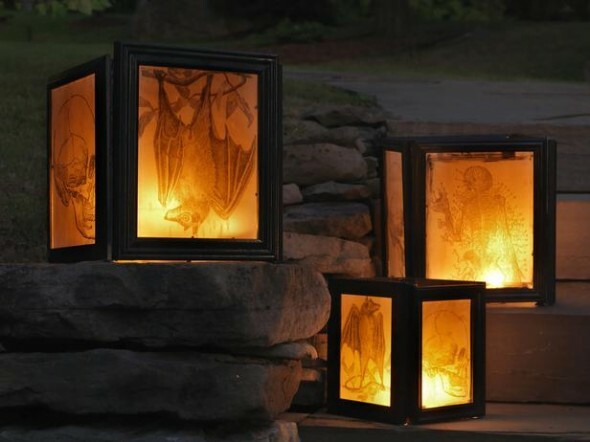 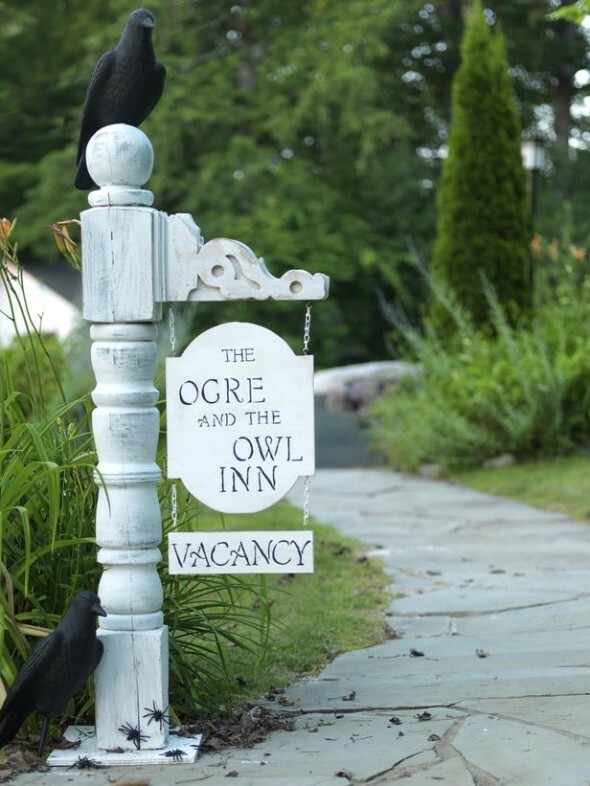 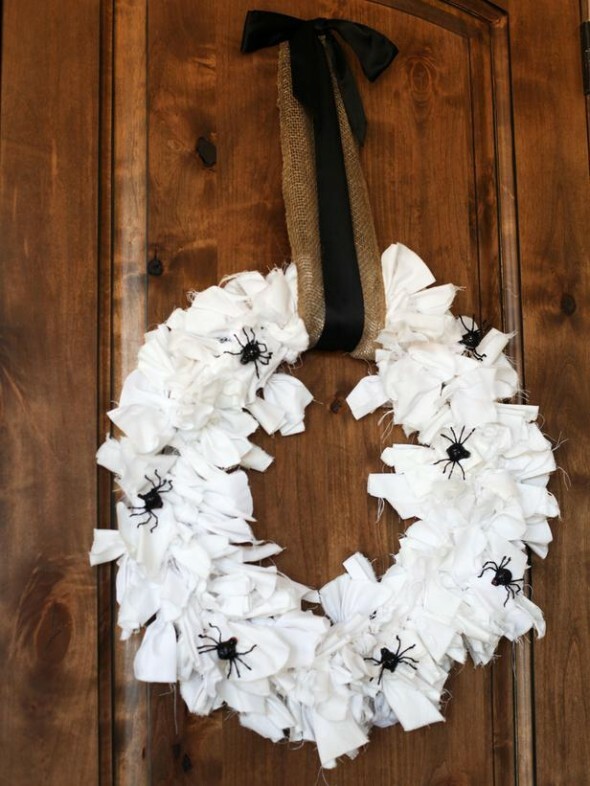 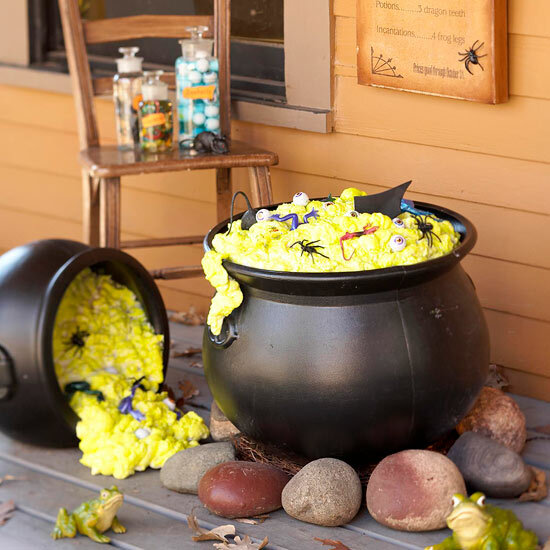 These DIY Halloween Outdoor decoration ideas are inexpensive and will welcome trick- or- treat guests in style.